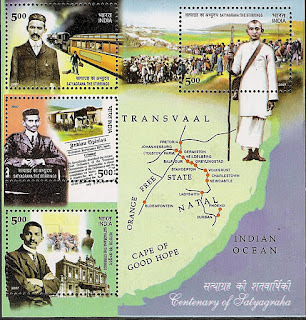 Over the last 2+ years, I've published over 400 StampSelector blog articles recommending various stamps or souvenir sheets as investments. However, I have never made any comparison between the issues recommended, nor have I attempted to rate their prospects and predict which might provide the best returns. The desire to provide some kind of stamp investment rating system ("S.I.R.S.?") is an ongoing obsession of mine, because it would be extremely valuable to be able to provide an educated guess as to which stamps will appreciate in value the most over the long-term. Obviously, a philatelic investor could use it to determine which stamps to target for investment, and a blogging hack who tips stamps, such as myself, might acquire immense influence over the stamp market by providing a credible system, and could even use such information to hoard the top-rated stamps before publishing it. Such a strategy would invite a friendly visit from the Securities and Exchange Commission and a probable prison term if the subject were stocks, which it isn't. 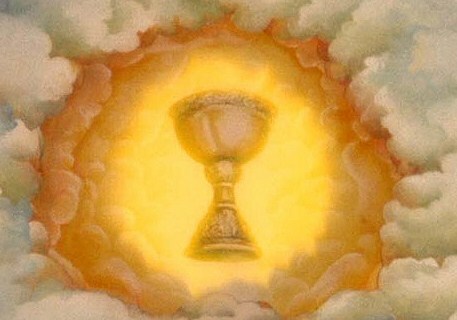 It is for this reason that I compare such a ratings system, or formula, to the Holy Grail of Arthurian legend, and as with the search for the mythical Grail, the paths to it are hidden due to lack of information, and remain obscured by clouds of ambiguity. Nevertheless, it is possible to list some of the criteria which might be taken into consideration in order to determine a stamp's rating. Firstly, the formula's intended solution - the rating itself - would be a number which represents an estimate of a stamp's long-term growth, perhaps the estimated average annualized return (L.T.E.A.R.) on the investment over the next ten or twenty years. 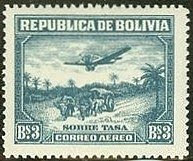 Hence, a stamp with an LTEAR of 15% have a rating of 15. 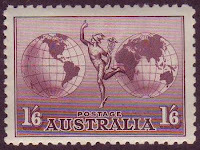 Variables which would factor into the formula would include the stamp's printing quantity and/or estimate of its current supply, the population of its country of origin and population growth rate, the country's economic growth rate and/or projection of the growth of its middle class, the country's current current population of stamp collectors, sources of external demand (such as topical, regional or "mother-country" demand, if the country of origin is a former colony, as well as the population of those with ties to the former country now living in other countries). 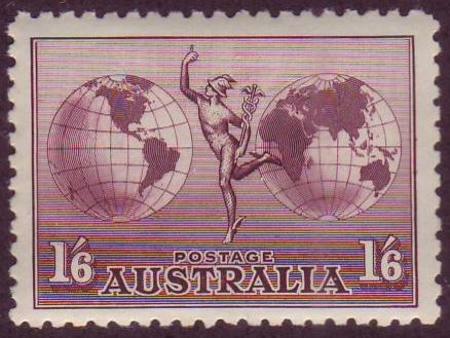 Population aging rates might also be factored in, since serious stamp collectors tend to be middle aged or older. 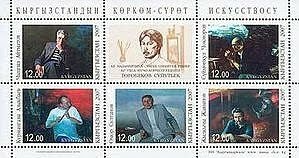 Ideally, the formula might also include a quantification of cultural factors, as some nations/ethnic groups have more affinity to stamp collecting than others; however, estimating this variable would probably prove insuperably difficult. Finally, there would have to be an application of the stamp market's version of the Heisenberg Principle - an incorporation of the effect of investors, speculators, investment tips, and even the rating system itself, on demand. In all likelihood, the prospect of creating a SIRS will remain nothing more than a dream. I encourage any reader with an interest in pursuing the project to post a comment either here or on the Facebook StampSelectors group site. During the Spanish American War, U.S. troops landed at Guanica Bay in Puerto Rico, and mail service was established under General Wilson, the acting governor of the conquered territory. 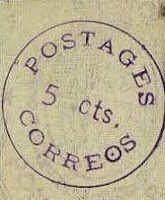 Crude provisional stamps were issued at La Playa de Ponce and Coamo in 1898 (Scott #200 and 201). The Ponce Issue (Scott #200) was a violet 5c handstamp applied to envelopes, while the Coamo Issue (Scott #201) was an imperforate stamp, of which four types exist, as described in Scott. Quantities issued of the Ponce Issue are unknown, but in all probability, fewer than 100 were produced. 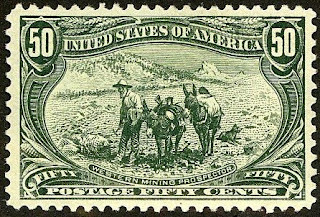 About 500 of the Coamo stamps were issued. Scott '12 prices the Ponce stamp unused at $7,500.00 , and the Coamo stamps unused at between $ 650.00 and $850.00, and the used stamps between $1,050.00 and $1,350.00, depending upon type. Blocks of four of the Coamo stamps showing all four types exist, as do complete sheets of ten. These rather boring-looking stamps appeal to collectors of U.S. Possessions, Puerto Rico, and Latin America. They're offered at auction on occasion, and should be purchased conditional on obtaining expertization, since dangerous counterfeits exist. Based on the projected growth in demand for U.S. Possessions stamps alone, they may be considered conservative investments. Should demand for stamps of Puerto Rico increase dramatically, then they will outperform this expectation. With about 3.7 million people, Puerto Rico is an unincorporated territory of the United States, with an economy that is one of the most diverse in the Caribbean region. In addition to the island's population, there are also approximately 3.8 million Puerto Ricans living in the Continental U.S.. Services and industrial production have surpassed agriculture as the primary focus of economic activity and income. Encouraged by duty-free access to the U.S. and by tax incentives, United States firms have invested heavily in Puerto Rico since the 1950s. Sugar production has lost out to dairy production and other livestock products as the main source of income in the agricultural sector. Tourism has traditionally been an important source of income for the island. Due to immense debt problems and problems associated with Puerto Rico's status, annual GDP has actually declined by about 2.5% per year over the last 5 years. The Aegean Islands, a group of islands in the Aegean Sea, were occupied by Italy during the Tripoli War and ceded to Italy by Turkey in 1924 per the terms of the Treaty of Lausanne. They were ceded to Greece after World War II. 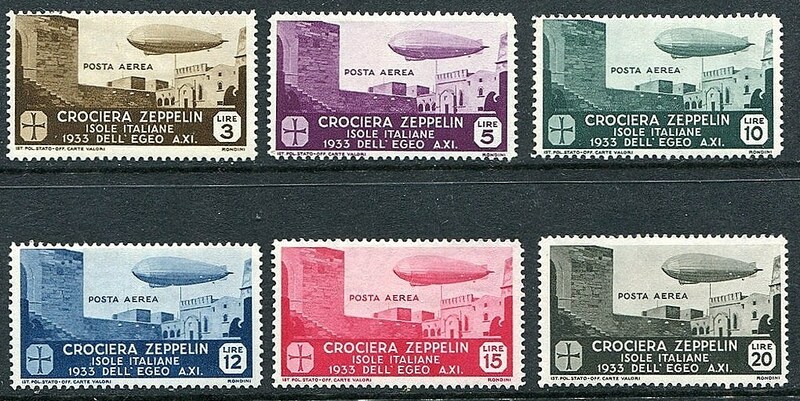 In 1933, Italy issued a set of six airmail stamps for the Aegean Islands, intended for use on the Italian Flight of that year (Scott #C20-25). 10,000 sets were issued, and Scott '12 prices the unused set at $360.00. I recommend purchase of the set- NH, LH, or on covers carried on the flight. 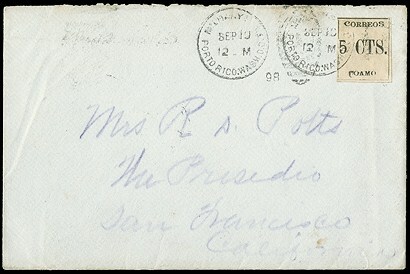 It has multiple market appeal among collectors of Italy/Area, Zeppelin stamps, and possibly also Greece. Zeppelin stamp and cover collecting is extremely popular worldwide. Many countries issued stamps for use on the various Zeppelin flights, and those interested in learning more about the Zeppelin issues and their usages should consider purchasing a Michel Zeppelin Specialized Catalog or a Sieger Zeppelin Post Catalog. A nation of about 61 million people, Italy is the fifth most populous country in Europe, with the eighth-largest economy in the world and the fourth-largest in Europe in terms of nominal GDP. Italy was rapidly transformed from an agriculture based economy into one of the world's most industrialized nations and a leading country in world trade and exports. It is a developed country, with the world's 8th highest quality of life and the 23rd Human Development Index. In spite of the recent global economic crisis, Italian per capita GDP at purchasing power parity remains approximately equal to the EU average,] while the unemployment rate (8.5%) stands as one of the EU's lowest. The country is well known for its influential and innovative business economic sector, an industrious and competitive agricultural sector (Italy is the world's largest wine producer), and for its creative and high-quality automobile, industrial, appliance and fashion design. The country's GDP has contracted by a little under 1% per year over the past 5 years, due to the European Sovereign Debt Crisis.